Who doesn’t love mouth-watering, ooey gooey, delicious desserts? Life is short, so enjoy dessert! These easy dessert recipes make it easy to give into temptation. One of the best parts of going out to eat is getting a “treat” to top off the meal, like a frosty, a shake or a fun fortune cookie at the end of your dinner. If you’re avoiding the drive-thru, you don’t need to give up enjoying a little something sweet at the end of your meal…and you DON'T need to spend hours in the kitchen making dessert, either! I’ve rounded up 25 of the most mouth-watering, easy dessert recipes I could find. 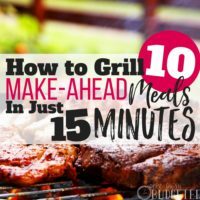 Get them ready in 15 minutes or less! Baking and/or whipping up dessert takes a lot of effort. There’s measuring, there’s getting out the mixer, there's making sure you’ve got all the ingredients on hand. Usually desserts are one of those cooking projects I admire on Pinterest, but rarely possess the time or energy to put together myself. But sometimes dessert really makes a meal feel special. It helps dinner at home feel like a “treat” rather than a chore. 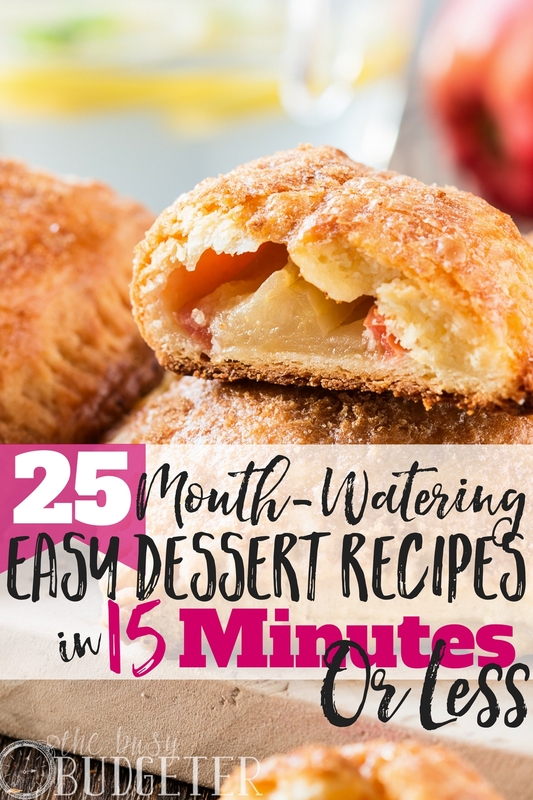 Whether you’re trying to eat at home more often to save money or you just want a few new tricks to make dinner more enjoyable, these easy dessert recipes are where it's at! Seriously, these awesome mouth-watering, delicious desserts are THE answer! 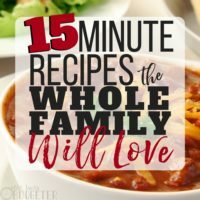 They come together super fast so you won’t have to spend any time in the kitchen stirring, whisking, measuring and hoping your oven doesn’t burn up your hard work. These easy dessert recipes take only 15 minutes to pull together. I also tried to find desserts pretty enough to serve to company. Let’s face it—one of the best parts of dessert is when they’re visually appealing. You want to feast with your eyes and your taste buds! So if you’re looking for a dessert solution for after dinner, a sweet dish to serve at your next party or a fix for an afternoon sugar craving, I’ve got you covered! Here are 25 mouth-watering easy dessert recipes, ready in 15 minutes or less. YUM! 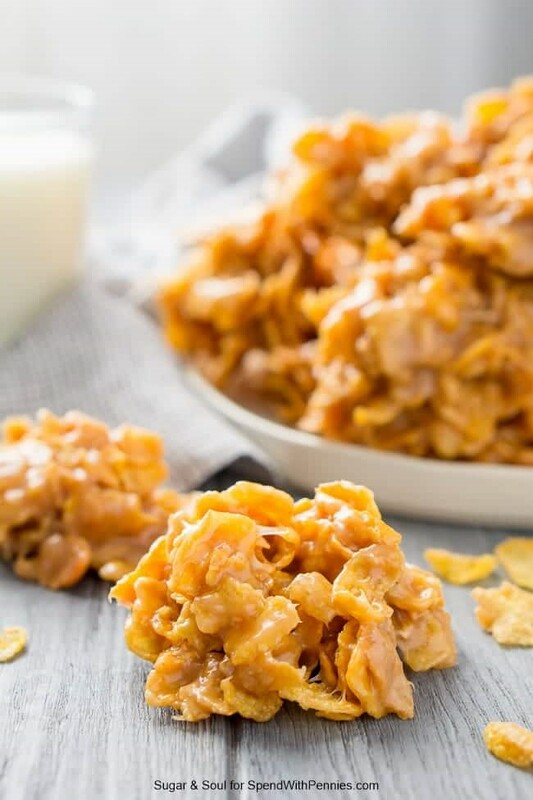 These yummy bites require only three ingredients so they’re ready to enjoy any time. With the sprinkles, they’re beautiful enough to give away as gifts! Another great 15 minute dessert with only a handful of ingredients—chocolate chips, almonds, coconut and sweetened condensed milk! These come together fast! 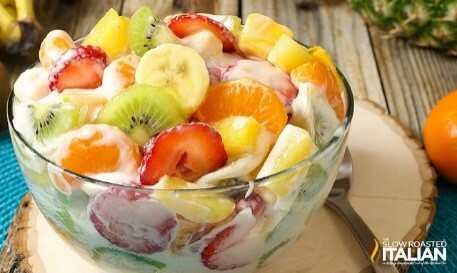 This might not fall in the “traditional salad” or “traditional dessert” category but it’s still delicious and refreshing. It’s a great way to use tropical fruit if you’re a fan. These bars are salty, sweet, gooey and super easy to put together. They cover all the craving points and then some. 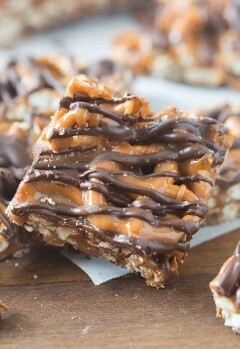 The recipe only requires 4 ingredients and these bars are SO addictive! I seriously love anything peanut butter. 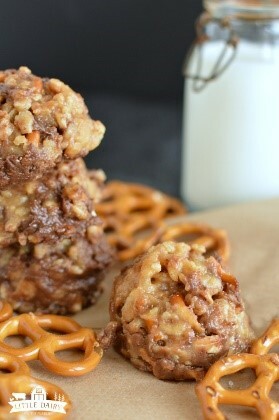 These easy no-bake PB pretzel cookies are super filling and yummy. You only need one or two but they definitely satisfy a sweet-and-salty-tooth! 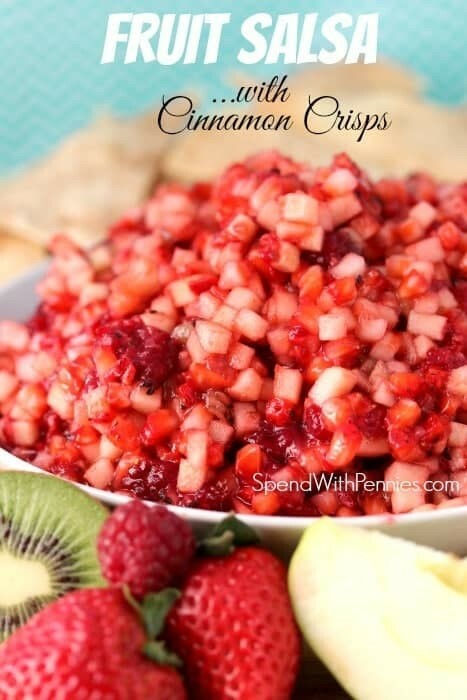 Fruit salsa is perfect for a party or get together. It’s a great dip-type dish guests will grab and enjoy. This salsa also goes perfectly as dessert for taco night! These cookies are one of the best easy dessert recipes I've ever found because they're basically copycat Girl Scout cookies…and WHO DOESN'T want to get their hands on some Thin Mints all year round?? All you need is some chocolate almond bark (melted) and peppermint extract. 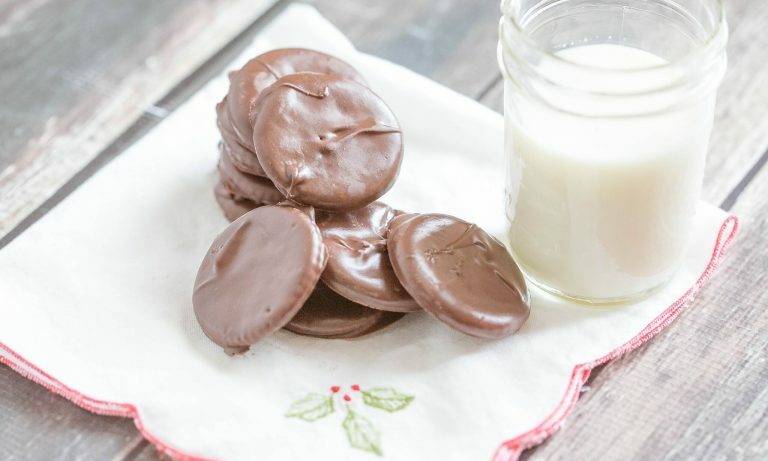 Dip the Ritz crackers in the melted, minty chocolate and let cool. 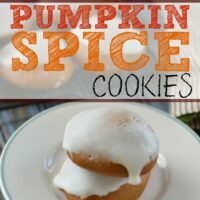 They taste exactly like the real deal and are super easy to make! “Poor Man's” desserts make for some pretty easy dessert recipes. For a Poor Man's Cheesecake, all you need is some graham crackers and cream cheese. In my family, we add delicious strawberry jam for a perfect afternoon snack or company-worthy dessert. Add any flavor jam or jelly you prefer to kick this dessert hack up a notch! 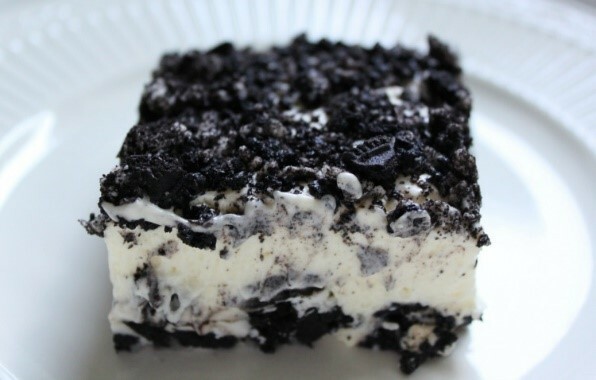 This Oreo dessert is perfect for potluck or when you need to come up with quick and delicious desserts to please a crowd. Creating this recipe is basically a matter of mixing and chilling, so the dessert comes together in almost no time and looks fantastic! Who can resist Oreos? 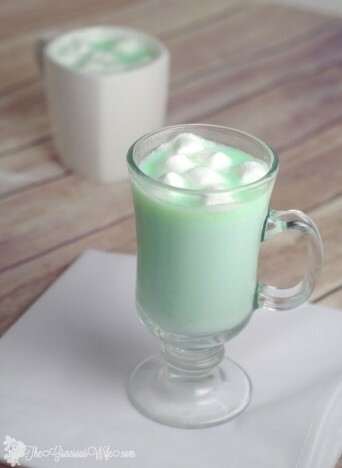 This minty, yummy drink tastes like a McDonald’s Shamrock Shake (only warm). (Ok, I know that sounds a little weird but it is frickin' delicious.) It’s perfect for cold days and when you want a super comforting but awesomely delicious dessert! Sometimes you get a craving for a super delicious spoonful of cookie dough, but if you’re anything like me the whole “raw egg” issue grosses you out. 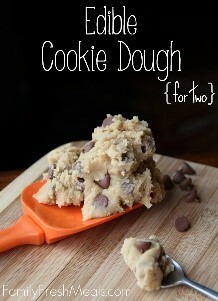 Well, this cookie dough is totally safe and offers enough for two people to enjoy! 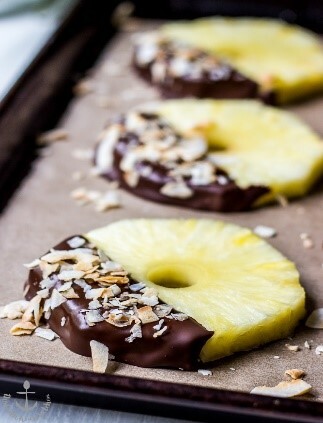 I love how easy these pineapple slices are and yet they’re refreshing, tropical and seem fancy and grown up. They’re perfect if you’re craving fondue (or simply craving chocolate). I love banana cream pie. 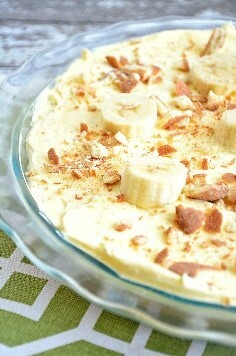 This is the perfect easy hack to create a no-bake banana pie in minutes with pudding, bananas and ‘Nilla wafers. So good, you guys. 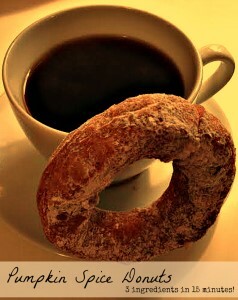 Guys, these donuts are so easy. They’re perfect for fall and take less than 15 minutes to cook. They are seriously my favorite! 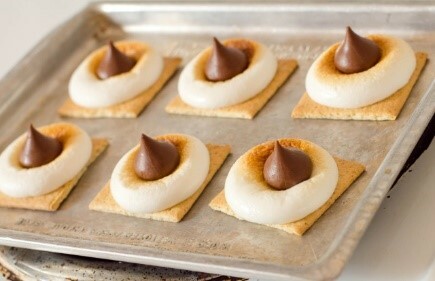 Sometimes you’re in the mood for s’mores without the campfire and outdoors. This is the perfect solution. Plus, they’re so cute! 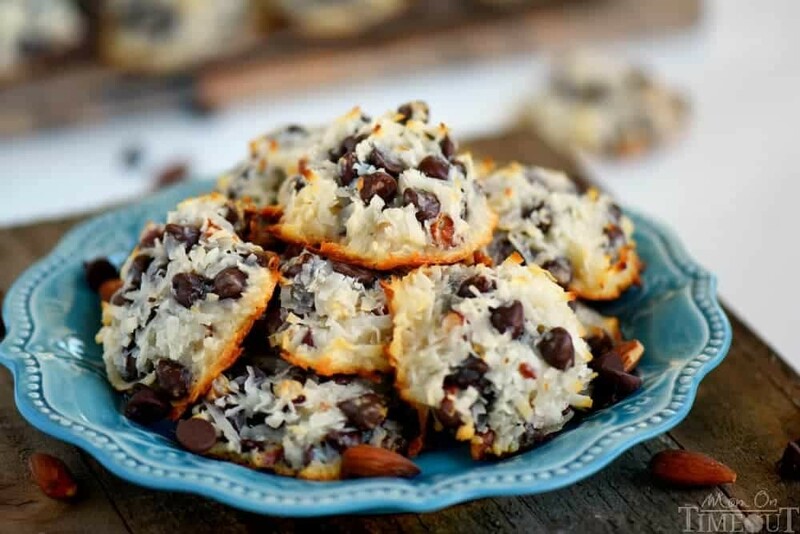 You could serve these as an awesome game-night dessert! 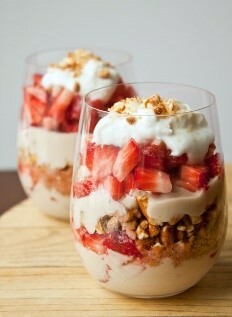 I love these unconventional dessert parfaits! The pretzels are unexpected but they add that salty crunch you crave! 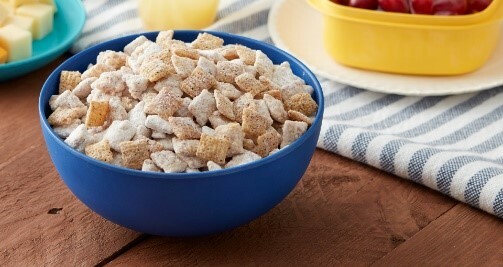 Chex Muddy Buddies are so yummy. 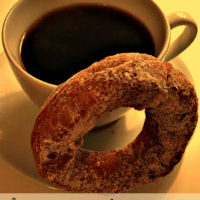 It’s a great food for snacking when you’re watching a movie, playing a game or hanging out. This take on Muddy Buddies uses flavors of blueberry and lemon to create a summery, fun treat. Bananas foster or “flambé” is one of those fun desserts we only order at restaurants or when we’re on vacation. 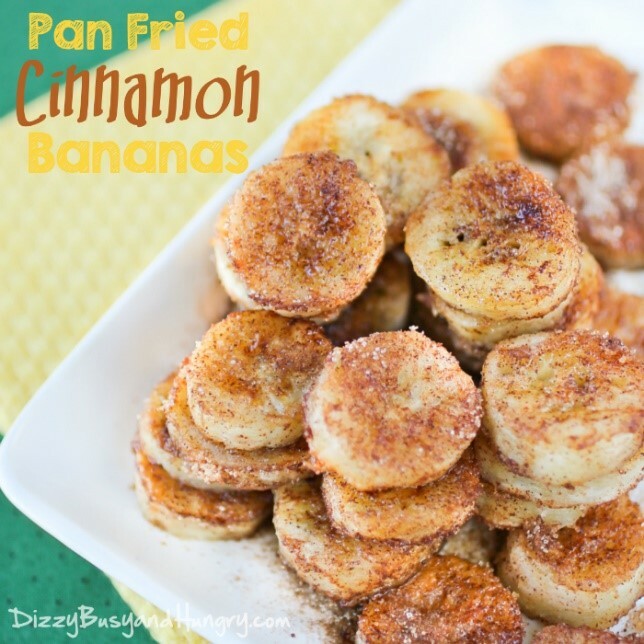 Fortunately, it’s easy to get the same flavors with these super simple fried cinnamon bananas! They’re perfect for bananas getting a little too ripe. 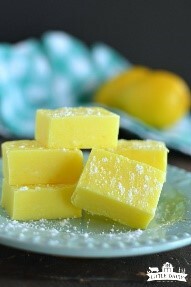 Lemon gives this fudge such a different flavor and fun, bright color. I always think of lemon as a summertime flavor, but this fudge is good all year long. It’s super simple to put together and the bright color looks great next to candies or cookies on a platter! Folks, easy dessert recipes do not get any easier than this! This apple crumble-type dessert is perfect with a scoop of ice cream or on its own. 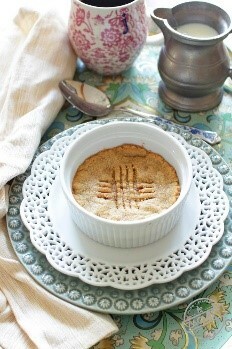 This apple-cinnamon treat looks like a more elaborate dessert that took time to put together, but only takes TWO minutes! Easy as apple pie (way easier, in fact)! 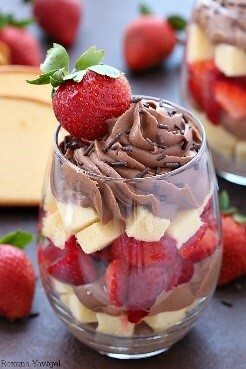 Looking for a perfect Valentine’s Day dessert or an easy dessert to go with a romantic dinner? These cute, easy parfaits use all the flavors of chocolate strawberries but with none of the hassle. They’re so easy to put together, beautiful AND delicious! These chewy, nutty, yummy no-bake cookies are a dessert you’ll want to put together time and time again. They go great with ice cream or a glass of milk. They’re satisfying and totally simple. Okay, sometimes you feel like treating yourself to homemade cookies, but you don’t have the time or energy to bake a whole batch. This deep-dish cookie is begging for a scoop of ice cream. Put together a few for dessert or simply treat yourself! This Churro Cheesecake Dip is different, in a really good way. Sometimes you need a dip to take to a party or a dish to pass. This is such a fun, easy dip to throw together and it’s really good! 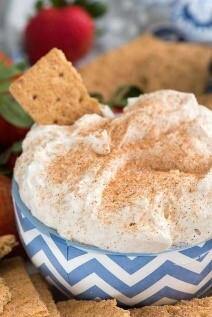 Churro Cheesecake Dip is one of those dishes where everyone will ask you for your recipe! I love how these are made with Pillsbury crescent rolls. 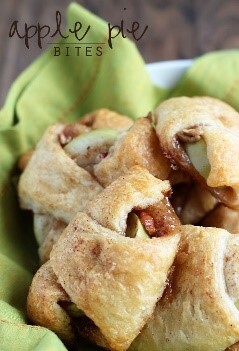 It’s such a timesaver and the flaky rolls go perfectly with apples. 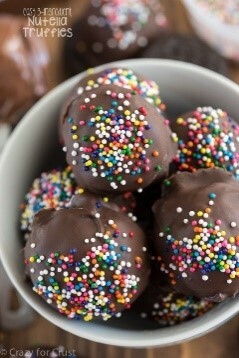 These are so delicious and yet, totally simple. Dessert should NOT be complicated or difficult. It’s dessert, people! It’s meant to be simple! Whip up these easy dessert recipes in 15 minutes or less. What are your favorite quick and easy dessert recipes? Do you have a go-to recipe you love to share? I love apple pie so those Apple Pie Bites are right up my alley! Yum! Those look great AND to be so quick to prepare, makes them even better! I like to do chocolate covered strawberries too! This list is heaven-sent. Who wouldn’t love fast, easy and delicious? Thank you for sharing this. The Fruit Salsa with Cinnamon Crisps and Banana Nilla Pie are my favorites. Caramel Pretzel bars should be in N. 1 position imho 🙂 absolutely delicious!